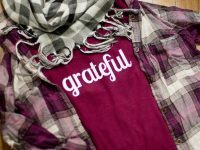 I’ve rounded up some of the best Silhouette gift ideas to help you with your Christmas shopping this year. These gift ideas are perfect for the person who loves their Silhoutte cutting machine. Happy gift giving! If you’re shopping for the crafter in your life (or, ahem, shopping for yourself), the Silhouette will totally up their crafting game. 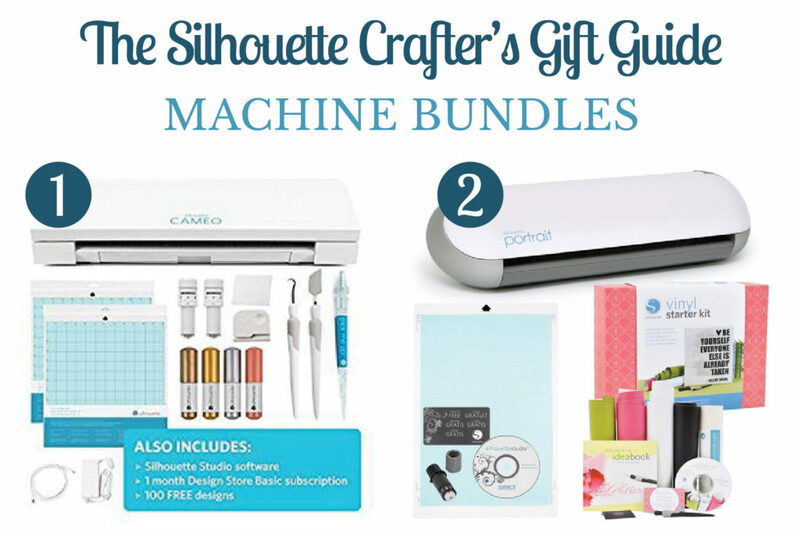 The current Silhouette owner will be excited to receive new materials and tools, while the newbie Silhouette crafter will be ecstatic to get their first machine. I’ve used my Silhouette for a ton of crafts, gifts and decorations. I packed this post with a variety of machines, materials, tools and accessories in a broad range of prices. 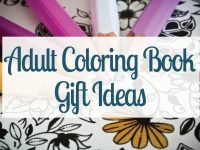 This post contains affiliate links to all the Silhouette gift ideas for your convenience. For more information, see my disclosure here. 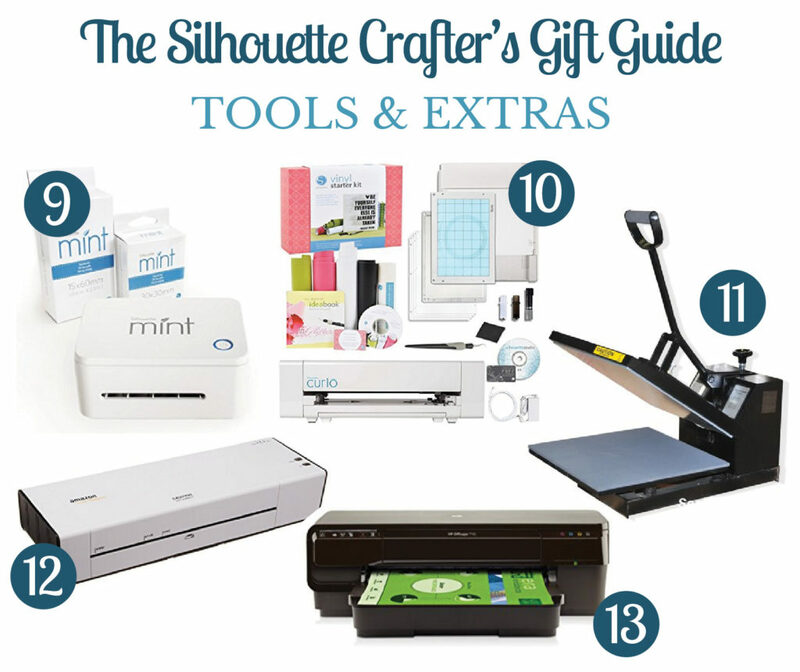 If you’re shopping for a crafter that’s new to the Silhouette, they’ll need a machine first. The nice part is that there are tons of bundles which include some tools and materials along with the machine so you can start crafting right after you open the box. You really can’t go wrong with any of the bundles. 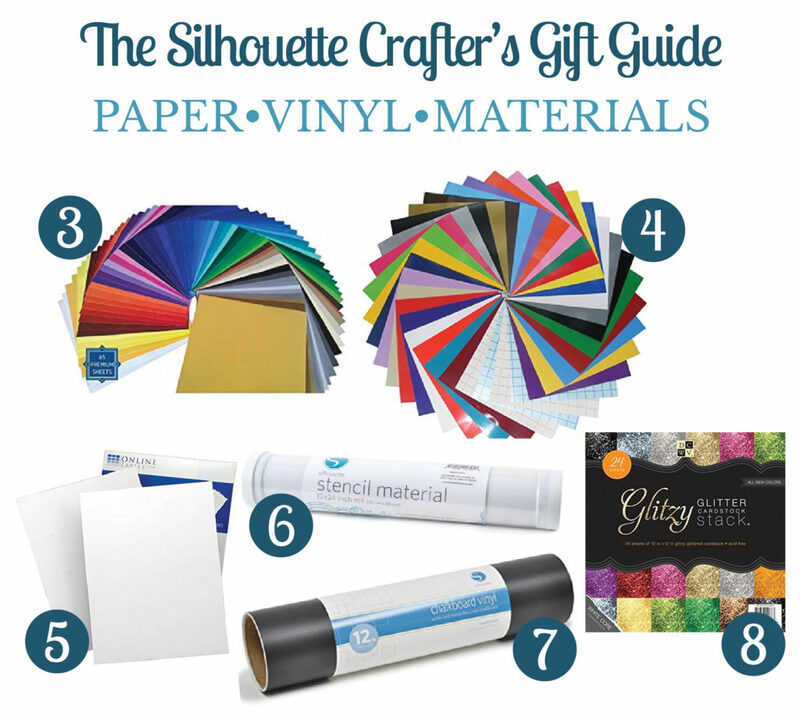 Every Silhouette-er needs lots of paper, vinyl, and specialty materials. The Silhouette can cut pretty much any kind of paper as well as vinyl, fabric, stickers and much more. Here’s a selection of some materials that I would be really excited to unwrap this Christmas. For the more advanced Silhouette user, some extra tools will be useful. The Silhouette Mint and Curio aren’t replacements for the main Cameo and Portrait machines, but they are very complimentary. The Mint creates custom stamps and the Curio can stipple, emboss, etch and more. Other useful tools include a heat press for fabric projects and a laminator and printer for paper crafts of all sorts. All of these doo-dads are great gift add-ons or stocking stuffers! Sketch pens are something I’m dying to try out, glass etching and stamp making are also fun. And then you have the basics that Silhouette users can always use more of like cutting mats, blades and tools. Oh, and a dust cover is a handy gift if your Silhouette-er doesn’t have one yet. 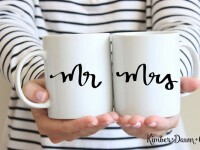 I hope this list gave you some awesome Silhouette gift ideas! 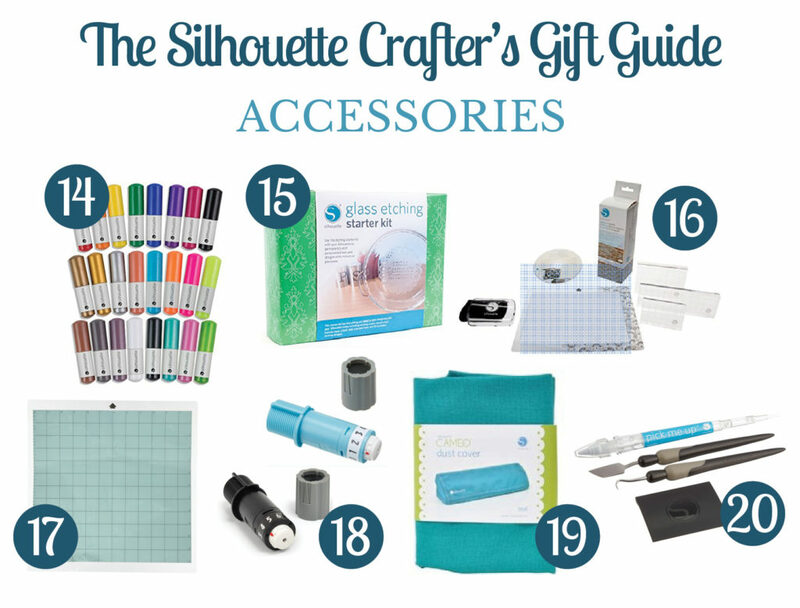 Here’s to hoping my craft-loving friends find some new Silhouette goodies under the tree this year! This post contains affiliate links for your convenience. 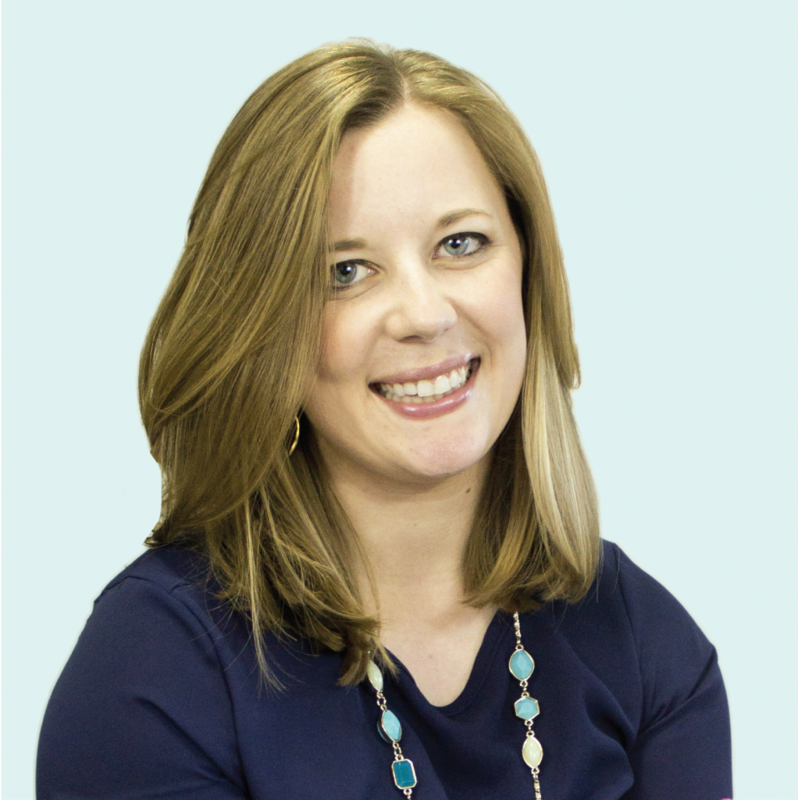 For more information, see my disclosure here.